In March 2003 Lykes Lines took delivery the Lykes Flyer. 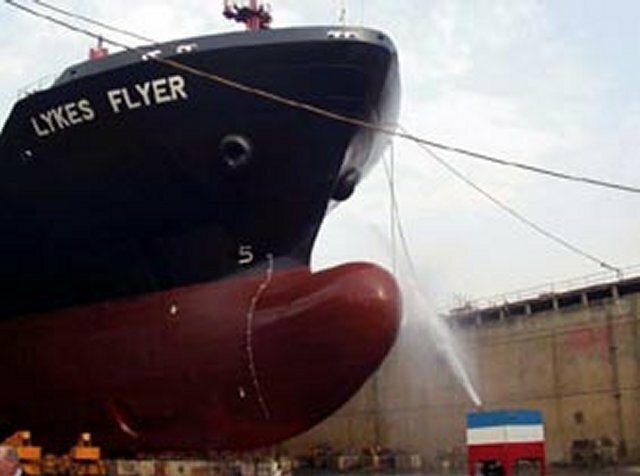 Built at China Shipbuilding Corp in Kaohsiung, Taiwan, the Lykes Flyer is a sister ship to the Lykes Ranger, which was delivered to the line in June 2002. Both are owned ships, while the Lykes Deliverer is a new build on long-term charter. The 3,200-TEU Lykes Flyer began operation on the Pacific Sprint service, before joining the Lykes Ranger on the United States Gulf - East Coast South America service. The Lykes Flyer and Lykes Ranger were delivered under parent company CP Ships' four-year $800 million ship replacement program, which was completed in 2003. TMM Lines started as the liner shipping division of TMM Grupo almost 50 years ago. It became part of CP Ships in 1999 and has expanded rapidly since then. With its roots in Mexico, TMM Lines became more internationally focused, with additional transatlantic and trans-Pacific services as well as north-south services on both the east and west coasts of the Americas. It has also launched services to Africa. In January 2003 TMM Lines took delivery of the TMM Guanajuato, a 3,200-TEU vessel built by China Shipbuilding Corp in Kaohsiung, Taiwan. 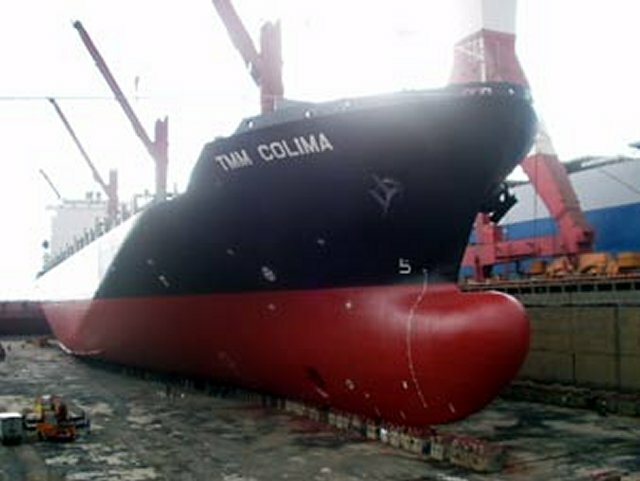 The TMM Guanajuato is a sister ship of the TMM Colima, which was delivered to the line in October 2002. 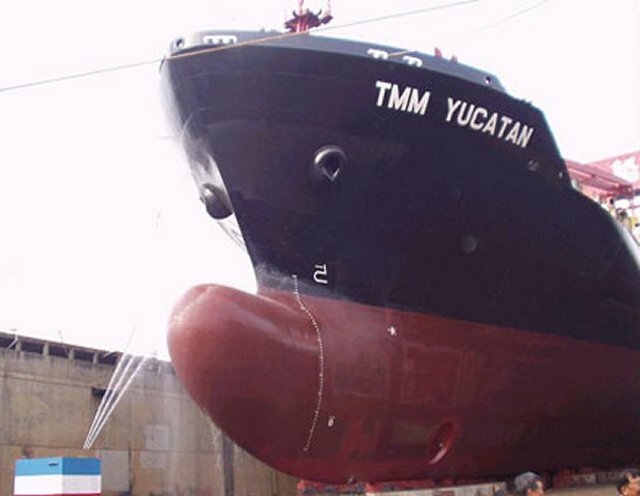 A third sister ship, the TMM Yucatan, was also delivered in January 2003. TMM Guanajuato was the second of four sister newbuilds of shipowner CP Ships that Split Ship Management provided with full technical management & crew. Split Ship Management crew took over this ship on 26 November 2002. Her first oceancrossing started from Hong Kong and goes to Los Angeles. With TMM Guanajuato SSM took over the second of four newbuilds of shipowner C.P.Ships, what is very important for the company and the town Split. The cause is the very difficult situation where rate of growth of unemployement and young experts leaving the country are increasing. With these newbuilds the company provided job for 40 seamen per year per ship. This gave them the opportunity to work and to secure their existence and future. Apart from that, work on newbuilds offered the seamen great possibility of learning and improving, cause they are equipped with equipment of highest techology. These ships were initially under UK flag. On September 13, 2005 CP Ships announced that they will send a vessel into New Orleans on a trial basis. This vessel will use the ship's cranes, as the terminal cranes are still out of commission. 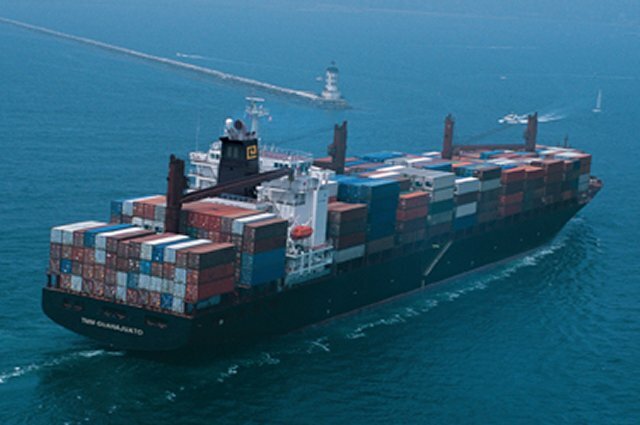 This vessel, the 'Lykes Flyer,' will not load any K-Line or K-Line partner's cargo. This is purely a trial operation to assess the overall infrastructure of the terminal after Hurrican Katrina. On 29 September 2005 CP Ships re-flagged the 3200 TEU CP Yucatan to US flag and changed its name to CP Yosemite in recognition of the ship's enrolment in the US government's new Maritime Security Program which came into effect 1st October 2005 and under which CP Ships expanded its participation compared with the previous MSP. Built in Taiwan in 2003, CP Yosemite is geared, which means it is equipped with onboard cranes so it is not reliant on shore-side equipment to load and unload. CP Yosemite is one of five vessels operating on the TransAtlantic which CP Ships is committing to MSP and which will be named after US national parks. In due course, the remaining four ships were to be renamed CP Everglades, CP Denali, CP Shenandoah and CP Yellowstone, but this new nomenclature was not reflected in MARAD dcouments as of early 2006. CP Ships' new MSP contract represents an increase over its previous three-ship MSP participation. Under the new contract, government subsidy of $145 million is provided over the next ten years to offset the cost of operating five ships under US flag. MSP was created to ensure that in times of war or national emergency the Department of Defense has ready access to a fleet of modern and efficient US-flag ships like CP Yosemite. Built in 2003, the ship is geared, which means it is equipped with onboard cranes so it is not reliant on shore-side equipment to load and unload. 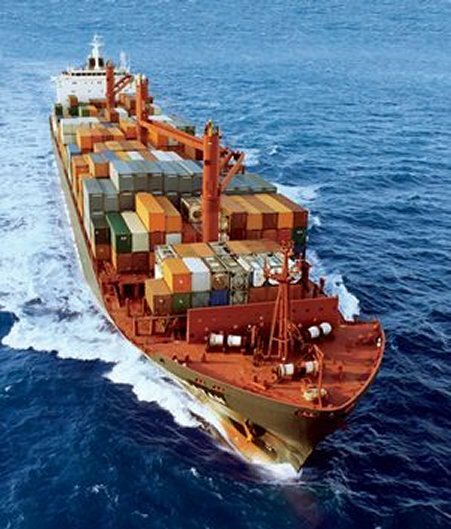 In July 1997 Canadian Pacific Ltd (CP) acquired the container shipping arm of Lykes Bros Steamship Co, registering these services under a new Tampa-based company known as Lykes Lines Ltd. Effectively Lykes now becomes a subsidiary of the CP Ships group of companies in a US$34-million deal. 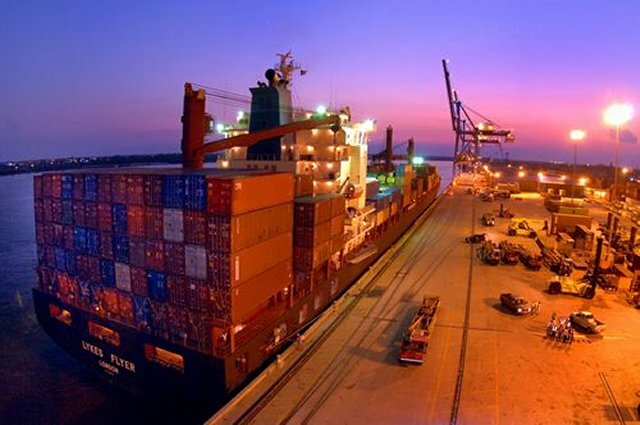 One of the world's leading container shipping companies, CP Ships provides international container transportation services in four key regional markets: TransAtlantic, Australasia, Latin America and Asia. Within these markets CP Ships operates 38 services in 22 trade lanes. At 30th June 2005, its vessel fleet was 82 ships and its container fleet 441,000 teu. Volume in 2004 was 2.3 million teu, more than 80% of which was North American exports or imports. CP Ships also owns Montreal Gateway Terminals, which operates one of the largest marine container terminal facilities in Canada. CP Ships is listed on the Toronto and New York stock exchanges under the symbol TEU and also in the S&P/TSX 60 Index of top Canadian publicly listed companies. CP Ships operates 38 services in 22 trade lanes, most of which are served by two or more of seven brands: ANZDL, Canada Maritime, Cast, Contship Containerlines, Italia Line, Lykes Lines and TMM Lines. On 28th April 2005 the company announced plans to re-brand these services under the CP Ships name. The CP Ships Limited Board of Directors unanimously recommended that shareholders accept an offer from TUI AG to acquire CP Ships in an all-cash transaction for US $21.50 per share or about $2.0 billion on a fully diluted basis. Including the assumption of net debt of $0.3 billion at 30th June 2005, the transaction has a total value of $2.3 billion. 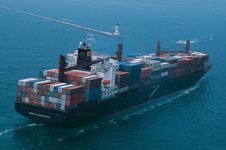 TUI AG, the parent of Hapag-Lloyd, planned to combine Hapag-Lloyd and CP Ships to create the world's fifth-largest container shipping company with a fleet of 139 ships (and a further 17 on order) for a capacity of approximately 400,000 teu on over 100 routes spanning the globe.